Inspired by Atalier NL I have made a series of blocks from bottles. Atalier NL experiment with sand collected from around the Netherlands to challenge the conventions of industry by using non-pure sands for glass making. 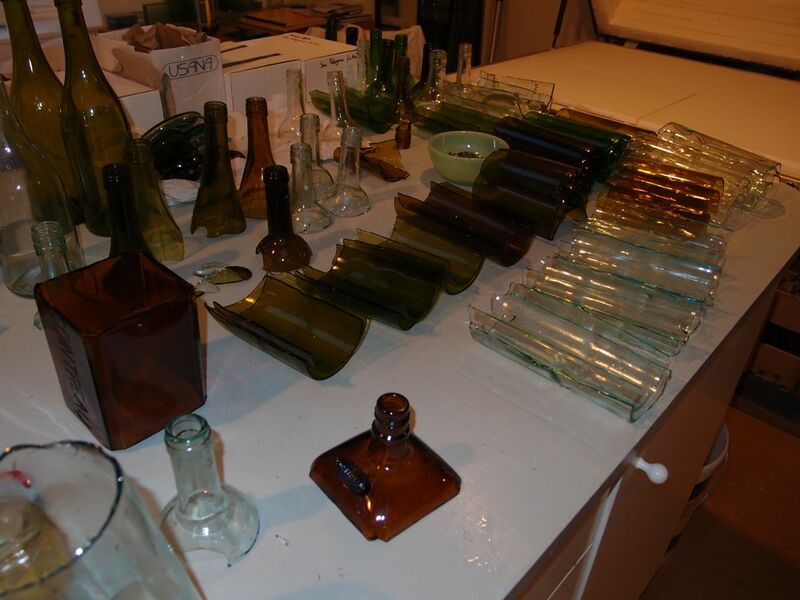 My project is similarly unconventional creating glass blocks from layers of glass carefully annealed from used bottles. Each block is made from an individual bottle. Some have significance due to their history; the people who brought them to me, or memories of the occasion that their contents lubricated. Once transformed into a block they have tactile appeal and visual interest with varying opacity. The raw materials mined to make glass are honoured through a process of transformation and renewal.